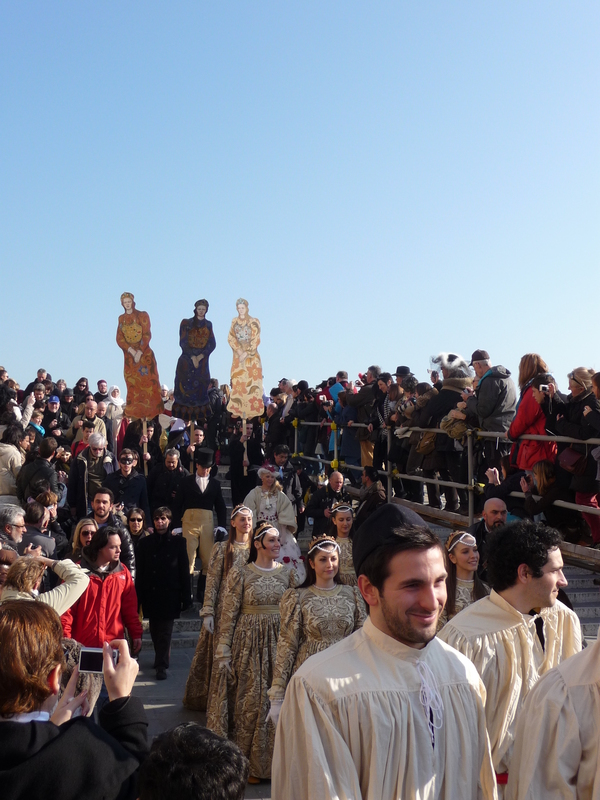 Crowds flocked to Venice on 26 February 2011 for special events during this year’s Carnival. The day featured the ‘Marie’ procession of beautiful girls and others in elaborate medieval costumes. In addition, the second Biennale Carnival for children had a special day of events in the central pavilion of the public gardens. Local newspapers reported that the city was overwhelmed by visitors and how conflicts erupted between tourists and taxi drivers as the transport infrastructure failed to cope with the number of people leaving carnival in the early hours of 27 February. Il Gazzettino di Venezia reported that Venice “burst” as 70,000 visitors entered the city for the day, which was 20,000 more than on a comparable day the previous year. The newspaper La Nuova di Venezia e Mestre focused on disputes that broke out between tourists, bus drivers and taxi drivers, which led to the police being called to Piazzale Roma at 3 AM on the morning of 27 February. Venice was certainly crowded on 27 February. Yet I enjoyed a great day at Carnival with my wife and children. Although a little patience was required to cross bridges along the Riva degli Schiavoni waterfront near St Mark’s Square, it was perfectly possible to find space to appreciate the costumes. 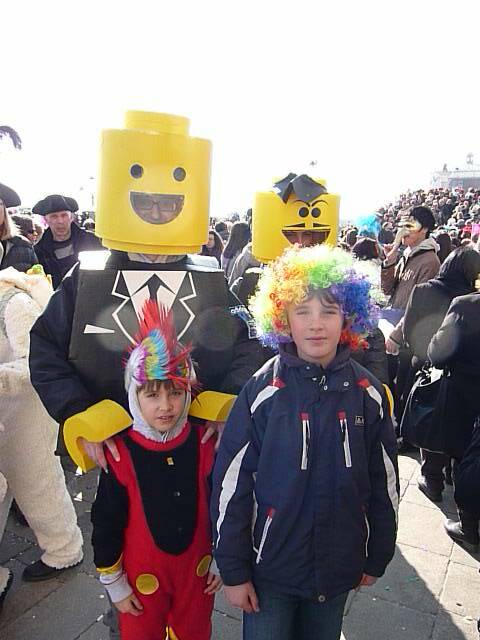 This is illustrated in the photograph below of our two sons, Riccardo and Steffan with some people in Lego costumes. 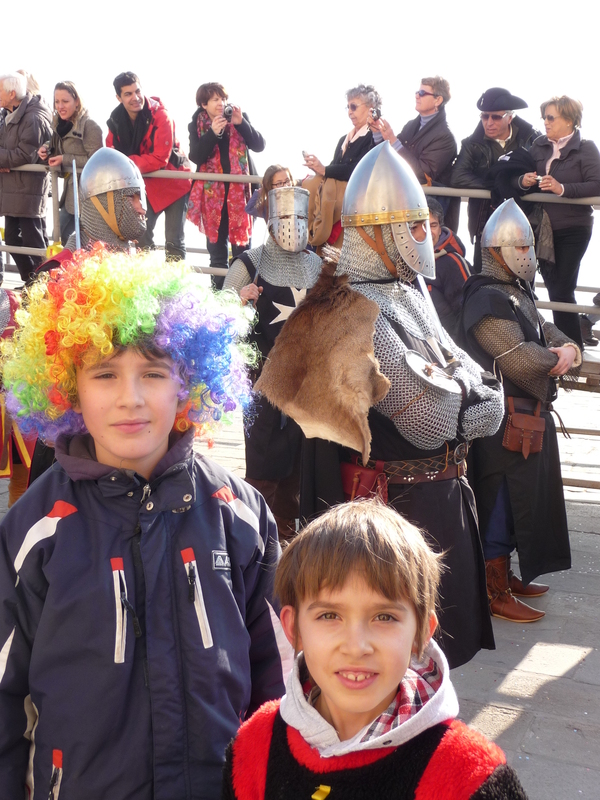 There was also sufficient space for my boys to enjoy the medieval costumes in the ‘Marie’ procession, as shown below. We even got a good view of the beautiful girls in the ‘Marie’ procession! The children’s Carnival in the public gardens was half empty, although this may have been because it was not as engaging as advertised. But, despite the crowds, it was perfectly possible to enjoy Venice Carnival. Many of my journalism university students also attended Carnival in Venice on 27 February and reported their experiences on their personal blogs. They all described having a great time and partying into the night. No problems were encountered, even by those students who ‘slept’ in the railway station before getting the first train back to the university campus in the morning (see my ‘Teaching’ page of this website for university details). Undoubtedly, Venice Carnival would benefit from better infrastructure, especially transport. The construction of a subway in Venice and tram service between Piazzale Roma and Mestre would help reduce many of the overcrowding problems. 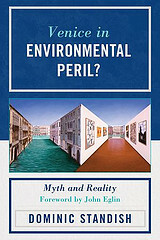 This is one reason why modernisation of Venice with these innovations and others is recommended on this weblog.